Today, I'm sharing a super easy (and cheap!) 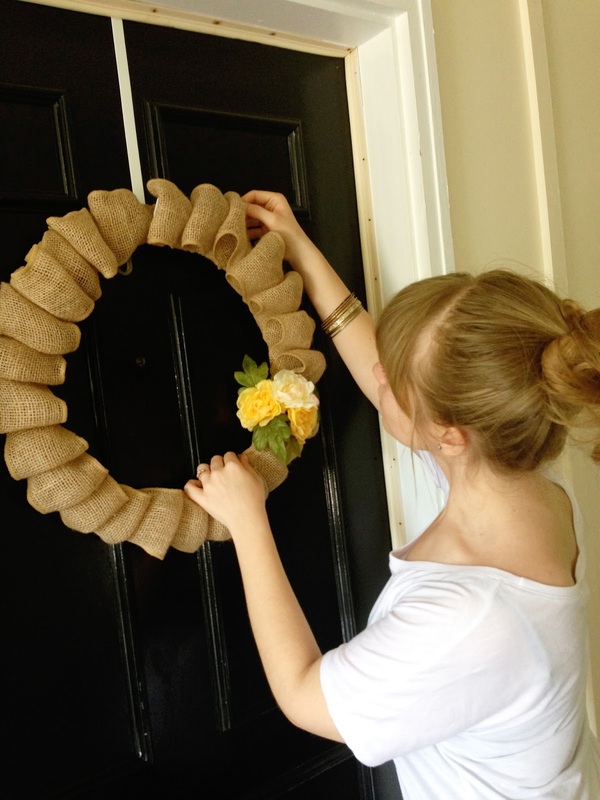 DIY project with you: my favorite Handmade Burlap Wreath. It's really inexpensive and totally customizable; once you make it, you can change it up seasonally or every few months to give your front door a fresh look. When we moved to our current apartment, the first thing I wanted to add was some flare to our front door. We're very blessed with a beautiful black door surrounded by brick walls and pretty lighting. I've lived in buildings with the most hideous hallways - I'm talking taupe walls and flickering fluorescent lights, so you can imagine my joy when we first toured this building. I was so eager to add our own bit of style to the front door. First, cut all of your pipe cleaners in half and set them aside. 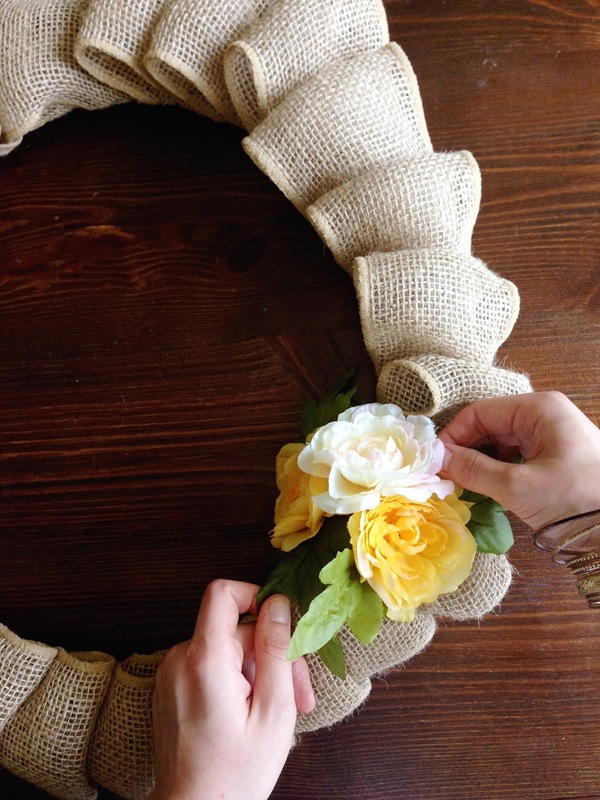 Start off your wreath by tucking the edge of burlap into your wire frame. 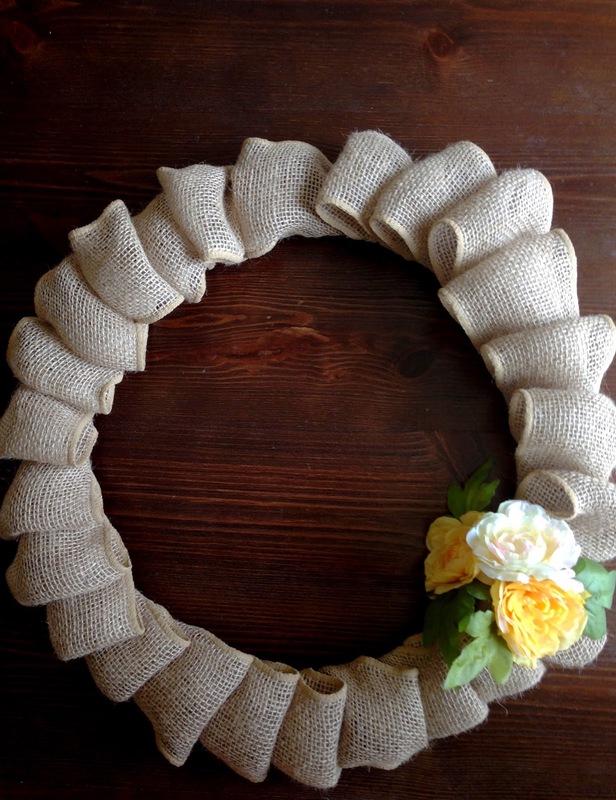 Bunch the burlap into a loop, and secure it with a piece of pipe cleaner. 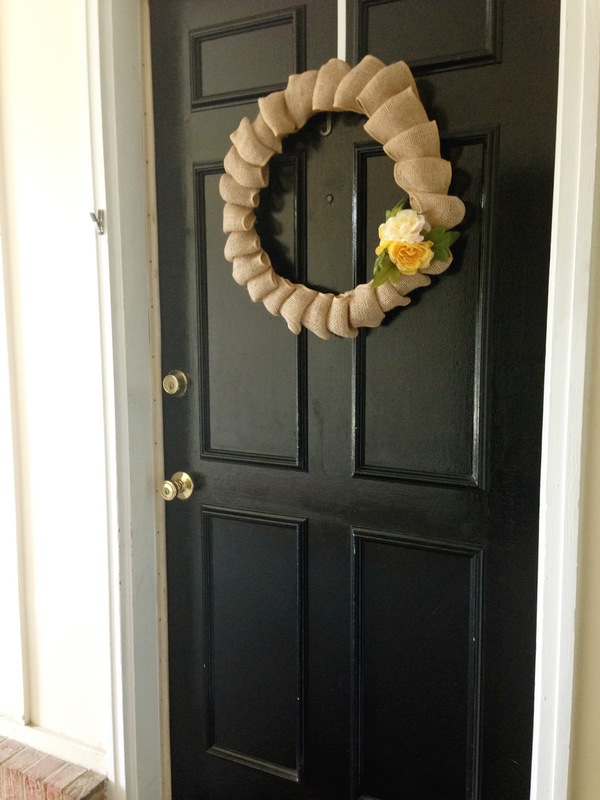 Continue making loops until you've covered the wreath form with burlap. Slide the loops closer together if you want the wreath to look really full. I wanted mine to look moderately full without appearing too busy. Next, add your embellishments using your leftover pipe cleaner pieces. For these, I like to find pretty things from the clearance section at my craft store (they have great sales). I try to spend no more than $4 or $5 on these, so that I don't have to feel guilty about changing it up later. Try to pick something that has a stem, allowing you to secure it to the wreath. If you find something that you absolutely love and it doesn't have a stem, just use some hot glue to attach it to a pipe cleaner, wrap it around your wire frame and you're good to go. Wreaths can be so expensive. 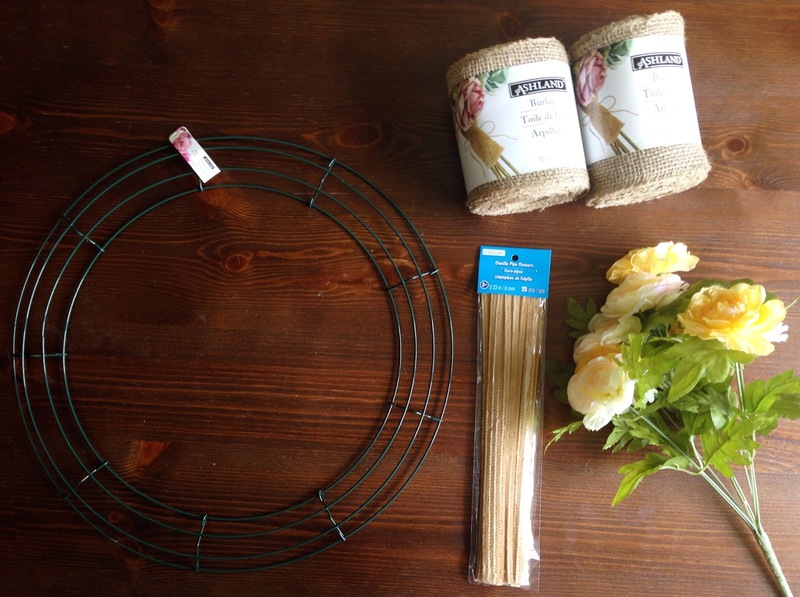 The best part about this DIY is that it's very thrifty (the whole thing cost me a total of $15 - compared to some wreaths that tend to cost $30-$60) and easy to customize throughout the whole year. Whenever you're wanting a fresh look, just switch out the embellishments for something new, seasonal, or whatever you're loving at the moment! We can't wait to see your version of this DIY. How would you customize this piece to reflect your style?